*Sold Out of the Striiv Fusion Activity Tracker and will be shipping Striiv Fusion 2 Activity Trackers for any orders placed after 1/09/2019 at the same Deal Price. 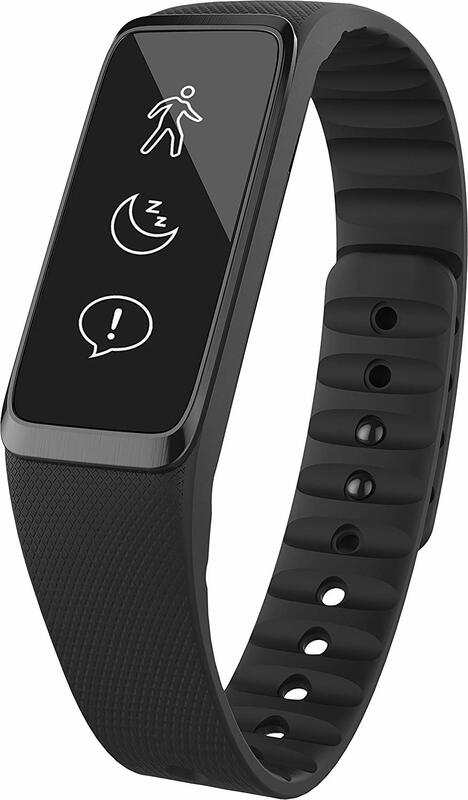 Striiv Fusion combines activity and sleep tracking with call and text alerts plus additional Smartwatch features. With three striking colors included in every box, Fusion looks great - whatever the occasion. Water Resistant: Up to 1 meter. Weight: 16 grams; .6 ounces. Screen Size: 1 x .56 in. Circumference: 21 cm; 8 in. Touch Screen: Ion hardened glass. Battery: Lithium Ion rechargeable battery. Using the latest in accelerometer technology, Fusion tracks your daily step counts, active minutes, distance traveled, and calories burned. See your progress with real time data displayed on an easy to read touch screen display. See who is calling and read through incoming text messages, all from your wrist. Monitor your sleep duration and quality with the Fusion. View the smartphone sleep chart to see how restless or restful your nights sleep was. Set simple alarms with custom messages to wake. Play, pause and skip the music playing on your phone, all from your wrist. View historical data to monitor your progress and set new goals. See how you stack up, and help each other stay motivated with family and friends on the Striiv Smartphone app.